Solomone Cavalli always try the best to let riders enjoy riding without sweating the small stuff. With a lifetime manufacturer's warranty on frames and a 6-month manufacturer's warranty on components and a headquarter in Masschusettes, you can ride confidently with the knowledge that we've got you covered. (To activate your warranty, professional assembly is required). The classic drop bar features multiple hand positions to comfortably fit your upper body and shoulders, you can always perfectly balance your weight between the front and back wheels for proper handling on all roads, city riding, windy or hilly areas. 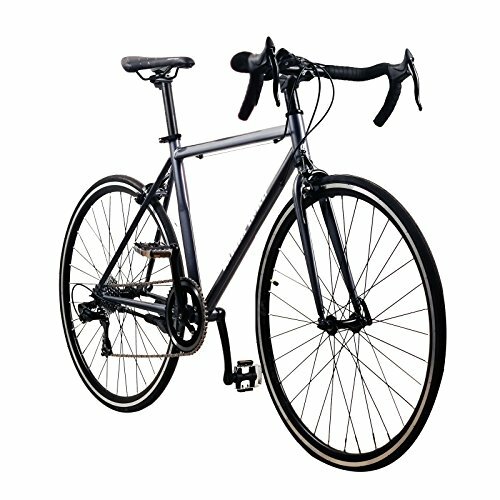 The bike features an 8-speed world top Shimano rear derailleur which delivers your power without any hesitation. And its Kenda branded 700c tires feature an all-weather tread design for greater safety and control. 6-month warranty backed by manufacturer and headquater in Massachusettts; bike ships 90% assembled; medium size to fit 5' to 6'-1"
If you have any questions about this product by Solomone Cavalli, contact us by completing and submitting the form below. If you are looking for a specif part number, please include it with your message.